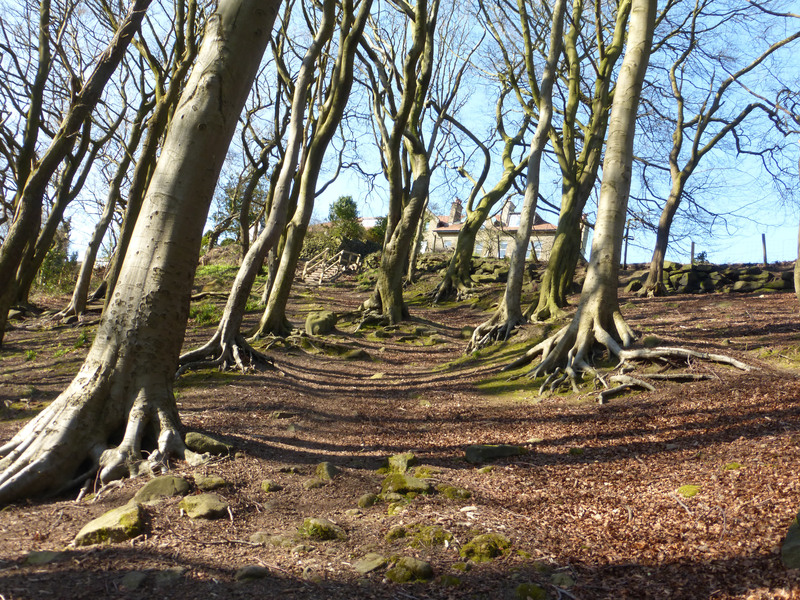 On a sunny April evening, we headed to Nutclough for one of our favourite strolls up to Old Town. Finding the path closed, we decided to try an alternative route that my walking friend had mentioned. 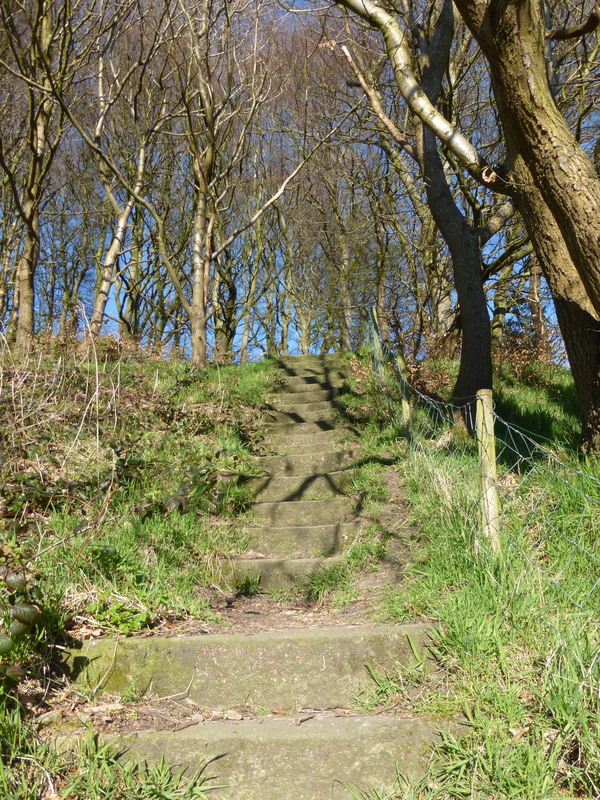 We walked a little further up Keighley Road and climbed a flight of stone steps into Joan Wood. We followed the path up and along through the small wood to another flight of steps. I sarcastically commented that the new concrete steps blended almost seamlessly with the old ones! Emerging onto Hurst road, we crossed over a stile and through a series of fields. At the boundary of the second field, we could see Old Town mill a short distance away. 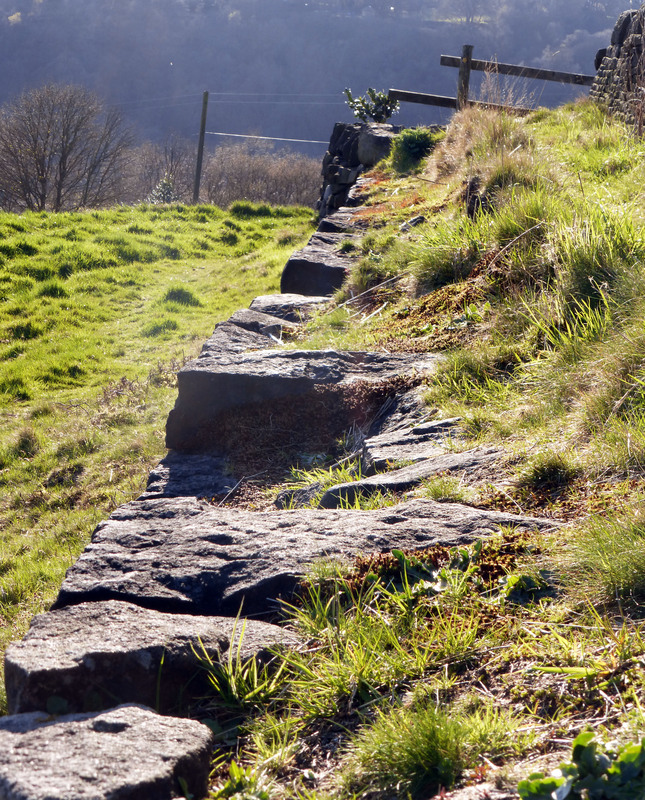 We rested on a rock wall to take in the views, from Heptonstall on the right to Dodnaze on the left. 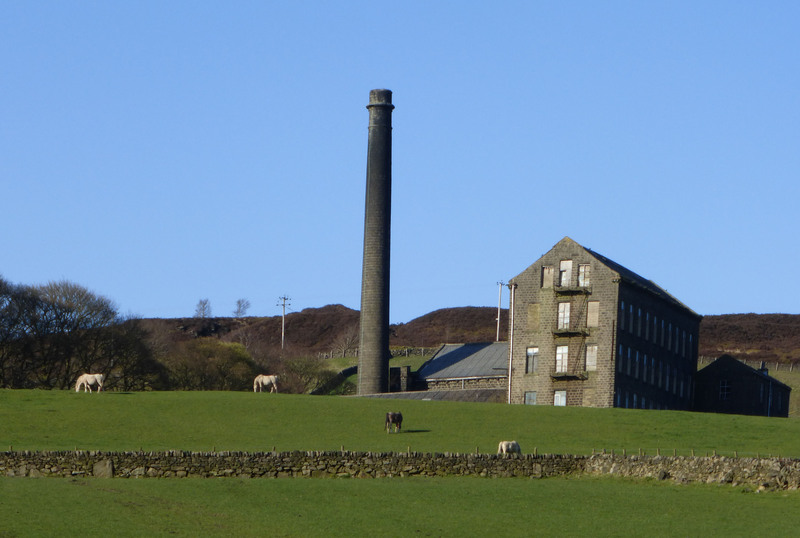 We carried on up and admired the horses in front of the mill. From there, we skirted round the mill and through the old part of the village onto Billy Lane. This entry was posted in heritage, landscape, photography, walking, woods and tagged Calder Valley, field, horses, Hurst Road, Joan Wood, Keighley Road, mill, Nutclough, Old Town, spring, stile, woods on May 8, 2015 by Hepdene Rose.